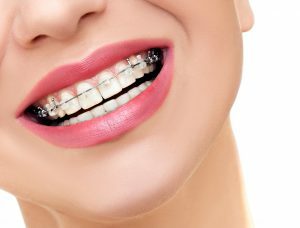 Orthodontics is a very extensive area of dentistry dealing with the prevention and treatment of malocclusion and maxillofacial defects in children, adolescents and adults. 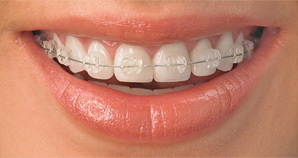 Often, the treatment preformed by an orthodontist is a preparation for implantation, prosthetic or surgical treatment. Our clinic in Kraków uses all available therapeutic solutions: removable braces (for children with milk or mixed teeth), various types of fixed braces (porcelain braces – almost invisible, or classic metal braces). Based on an in-depth analysis of each case, the orthodontist will choose the best solution. We carefully evaluate each case, reducing the need for tooth extraction to a minimum, looking at it as the last resort. The choice of a treatment method is a joint decision of the medical specialist and the patient. It is preceded by examination, evaluation of diagnostic models and panoramic and cephalometric X-rays. This allows us to choose the type of brace that is best for the patient. What the patient gets as a result of orthodontic treatment are straight teeth for a beautiful smile, improved speech, quality of life and ease of performing hygienic procedures. Correctly positioned teeth provide support for soft tissues, changing the features of the face for the better and making it look rejuvenated.